Story: Ha Chae-Yoon (Son Ye-jin) is a police woman and is sent to a hostage-taking as a negotiator, even though she is actually supposed to be on vacation. At the scene, she is just in the act of talking to the kidnapper, when the task force suddenly comes rushing in and ends the hostage situation bloodily. The hostages get killed right in front of her eyes. Chae-Yoon is tired of her job and hands in her resignation with her police captain. Shortly afterwards, the Chief of Police calls her in on another case. As her resignation has not gone through yet, and the situation seems serious, she agrees to help out, even though she does not have any information whatsoever about the case when she talks with the hostage-taker for the first time, who introduces himself as Min Tae-goo (Hyun Bin). He specifically asked for her and one of his hostages is her captain. The other hostage is a reporter. 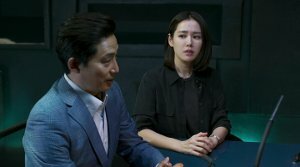 Chae-Yoon hardly gets any information from her superiors and something seems off about this case. Tae-goo is a weapon dealer, who is managing his operations from Thailand, even though he has British papers. Apparently, the Korean secret service, NIS, had been on his tail for a while now, but Chae-Yoon has no idea what his reasons for this hostage-taking might be. Along with her own team she keeps researching the case's background and the hostage-taker himself is also interested in her finding out more. There seems to be more to the hostage situation than meets the eye. Review: A thriller, in which a police woman and the kidnapper play a game of cat and mouse; that's nothing new. However, with "The Negotiation" the director manages to keep the plot gripping at all times. The movie regularly gives us new hints and makes it clear that we are far from knowing the whole story. That's why you are willing to patiently wait for each revelation, until it becomes obvious that the line between good and evil is not as clear cut as you might have thought initially. The movie is about corruption within the highest ranks and even if the heroine thinks that this can't be glossed over and go unpunished nowadays, the audience will probably doubt that. What's most fascinating is how the revelations constantly change the characters' interactions, though. Son Ye-jin ("The Truth Beneath") portrays an analytic police woman, who becomes weary of her job. 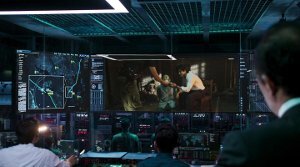 Why Chae-yoon does not get more upset about the failed rescue operation, during which she has to watch the hostages die, remains a mystery. After all, her police captain lied to her and didn't give her 30 minutes. Of course, the police won't accept the resignation of such a capable employee and that's not the only clich� that the movie borrows. The hostage-taker specifically asks for her and no one else. 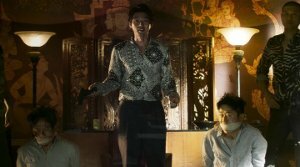 The kidnapper is played by Hyun Bin ("Late Autumn") with the right amount of charisma. He seems both crazy and calculated. Maybe Tae-goo is not even such a bad person, after all, and perhaps pursues a praiseworthy objective? But this thought vanishes quickly when we see a coldblooded execution. You have to feel sorry for Chae-yoon because she has to negotiate with a hostage-taker without having any real information about the case. In the room filled with technical equipment, there are also some big shots so that the police woman has to ask herself what is actually going on. Tae-goo seems to be aware of the fact that she was left in the dark on purpose and therefore summons several people to appear before him in order for her to get some background information and to toy with the intigators. Weirdly enough, you get the impression that he tries to stall for time, even though he must be aware of the fact, that a special unit is on its way to eliminate him and free the hostages. However, freeing the hostages is not their first priority, as it is the secrets that Tae-goo knows about which are supposed to vanish into thin air as quickly as possible. This brings us to the instigators, those people who are actually behind everything. 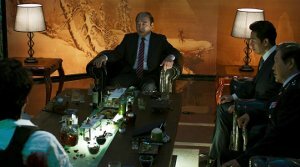 Little by little, the sheer magnitude of the case is revealed to us and "The Negotiation" becomes a movie which wants to denounce the injustices within the country, like corruption, with its social commentary. After the scandal around the country's president and due to a new government, the country can and will deal with such topics more often in the media. Therefore, the thriller actually just keeps up with the trend. But that doesn't mean that we simply get a boring thriller. The plot actually has priority here. The various entanglements in the background might push the limits of what you can accept as pure chance a little too far, but at the same time, this is what you have to do if you want to tell a gripping story, in which the information from the beginning still plays an important role later on. 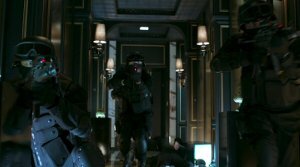 Even though the tension is mainly created through the conversations and the danger in which the hostages are in, there are also some action scenes. Laudably, these do not drag on and fit well into the rest of the movie, even though we are clearly not dealing with an action movie. The score also does not push itself too much into the foreground with adrenalin-driven pieces. In terms of production value, there is nothing to complain about either. That's why "The Negotiation" is more than you would have expected at the beginning. Thanks to a complex story and a socio-critical undertone we don't just get the run-of-the-mill action thriller which you might have expected from the movie poster. With his debut work, director Lee Jong-seok (assistant director for "Ode to My Father") presents us with a thriller with which you can't go wrong. It is suspense-packed, features good actors and a fascinating story.